Does Your Car Need Spring Maintenance? Contact Our Office to Schedule an Appointment for Your Car’s Spring Maintenance. As winter starts to fade into spring, you may be thinking about doing a thorough cleaning on your home or desk at work. While you’re in the mood for spring cleaning, don’t forget about spring maintenance for your car. Spring is a great time to complete some quarterly services on your car to keep it running in the best possible condition. If you need someone to help with your car tune-up this spring, contact the office at L.A. NTX Transmissions. When the seasons change, it’s a great reminder to perform some routine maintenance on your car. This can keep your car parts running better for longer. Here are some tips for your car’s spring maintenance. When the weather starts to warm up, it’s a great time to wash the underside of your car, which has been collecting mud, dirt, and salt throughout the winter season. We also recommend that you vacuum the inside of your car to remove dirt and debris from the floorboards. Finally, complete your spring maintenance by removing trash from the glove box and making sure your car documents are up to date. Colder temperatures during the winter months can have a negative impact on your car’s tire pressure. This can impact how the tire wears down as your drive on it. Early spring is a great time to examine the wear and tear on your tires, as well as check the tire pressure. 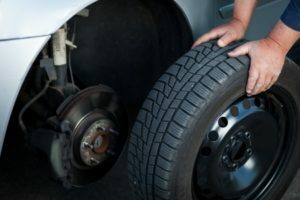 Once you’ve finished cleaning the car and checking the tires, the final step for your car’s spring maintenance is to bring it into the shop so we can check the brakes, transmission and timing belt. Call our office at (310) 672-8131 to schedule the appointment today. Posted in Uncategorized on February 16, 2018 by L.A. NTX Transmissions. 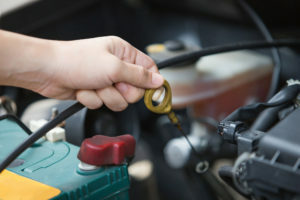 Your vehicle requires a lot of maintenance, which makes sense, as most people depend on their vehicles pretty heavily. Some things aren’t meant to be maintained, however, and should just be changed frequently. Today we will go over 3 things your vehicle needs changed regularly to ensure a long and effective lifespan. Replace These 3 Things to Keep Your Vehicle Safe And Operational! Your vehicle needs its oil changed frequently, but how frequently depends on how far, and how often you drive it. 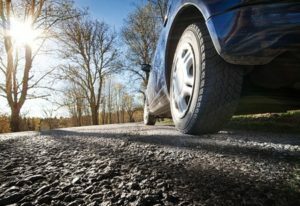 Every 3000 miles isn’t necessarily the standard rule of thumb anymore for newer cars, and in actuality, 3000 miles for one driver may cause more wear and tear than 3000 miles would for another driver. Consult your owner’s manual for the correct frequency. Your windshield wipers also need to be changed frequently. They aren’t designed to last forever, and hot or cold temperatures can cause a lot of wear and tear on them. If they are becoming old, cracked, or warped, they will need to be replaced. Poorly maintained wipers can make it nearly impossible for you to see when you need them! Your tires also need to be replaced fairly frequently, again, according to how you drive, and how much you drive. The type of terrain you typically drive on will also play a role in how quickly your tires become worn. To see if yours need to be replaced, grab a penny between your thumb and index finger, and turn it so that Lincoln’s head is facing your tire. If you place the edge of the penny in between the tread of your tires, you need to replace them if you can see the top of Lincoln’s head. If you need transmission repair, or other vehicle services, give us a call at (310) 672-8131 today for assistance! Posted in Uncategorized on January 12, 2018 by L.A. NTX Transmissions. The holiday season is here, and many people around the country will be embarking on road trips long and short to visit family members in and out of state. 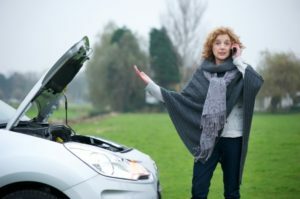 If you are among the many people who will be on the road this time of year, we here at L.A. NTX Transmissions want you to take precautions, and stay safe, so today we will discuss a few ways you can prepare your vehicle for any problems along the road! Are You Properly prepared For A Road Trip? Before any major road trip, its a good idea to take your car in for a tune up or check up. Have your fluid levels check, and get an oil change if you are due for one. Make sure you have a good battery, and that your transmission is in good condition. Fuel up before you leave, and take some time to make sure your tire pressure is at optimal levels. All of these things can help you avoid any unexpected car trouble during your trip. No matter how hard we try to prepare, sometimes accidents do happen, and your car can get stuck on the side of the road. If this happens in the middle of nowhere, it could be a while before someone can help you. In this case, you’ll need some supplies, so having an emergency kit in your car can really come in handy. Some good things to keep in the kit include: Blankets, road flares, rain ponchos, snacks, water bottles, a first aid kit, a flashlight, batteries, baby wipes, and back up chargers. It can be fun to try and surprise family member you haven’t seen in a while, but make sure that someone close to you knows that you’ll be on the road before a long trip. That way, if you get lost, or stalled in the road, you have someone who knows to keep an eye out and call for help if needed. We hope these tips are helpful to you, and we encourage everyone to be safe on the roads this holiday season. If you do find yourself in need of transmission service, give our team a call at (310) 672-8131! Posted in Uncategorized on December 8, 2017 by L.A. NTX Transmissions. 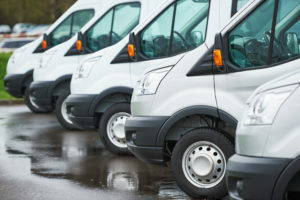 Should I Invest In A Fleet Account For My Company’s Vehicles? Find Out How A Fleet Account Can Save You Money Today! If you are a business owner, chances are that you have a list of responsibilities and expenses that seems about 10 miles long. What if we told you there was a way to cut at least some of those costs down? At L.A. NTX Transmissions, we provide the opportunity for company vehicle fleet accounts. When you have to get transmission repairs and other services for 5 or more trucks, the individual pricing can really add up. Below, we’ll go over a few of the main benefits of investing in a fleet account for your company’s vehicles. Though this can be dependent on circumstance, you can generally expect priority service while on a fleet account as well. This means a shorter wait time! That way you can have your vehicles up and running faster, which allows them to get back to work faster. Not only does a fleet account save you money out of pocket, but by saving time, your fleet account benefits can help you get back to producing income, faster. If you are interested in learning more about our fleet services, or if you’d like to speak with one of our team, call us today at (310) 672-8131! We are your professionals for transmission repair in Inglewood, CA, as well as all of your other transmission needs! Posted in Uncategorized on November 7, 2017 by L.A. NTX Transmissions. If you hear a clearly audible grinding sound coming from areas near your tires, you have identified one of the signs of damaged bearings. The cause is heat excess and lack of lubrication coming from your wheels. You will likely notice the sound coming more distinctly for one tire area, rather than all 4. Tires can sustain damage for a variety of reasons, but uneven tire wear is an indication of bad bearings. If either the right or left tire appears to have more wear than the other one, a bearing replacement is likely the best course of action. Another sign of damaged wheel bearings is a vibrating steering wheel. This will be one of the most noticeable symptoms since your hands will literally feel the vibration from the wheel. Additionally, this sign should be noticeable regardless of how fast or slow your vehicle is moving. As long as your foot is on the accelerator, the symptom will become apparent. Posted in Uncategorized on October 5, 2017 by L.A. NTX Transmissions. Does Your Transmission Need Repairs? 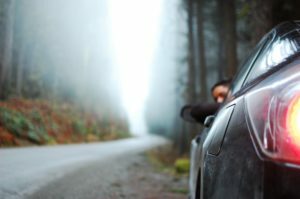 Can you recognize transmission problems? While many drivers know a thing or two about their vehicles, there are some things that can be harder to recognize than others. For example, do you know how to spot transmission problems? Your transmission plays a key role in the operation of your car, so it is important to recognize the indications of transmission failure. Transmission fluid is different from motor oil, in that it should never be used or burned up. When you check the fluid, it should be pink and translucent. Any time your transmission fluid appears to be dark or burnt, your transmission is running too hot. Be sure to call your mechanic ASAP! Other things to look out for include burning odors, unusual noises, delayed movement, and of course, your vehicle’s warning lights. A burning odor can indicate that your transmission is overheating, which cause the fluid to turn a dark color, and produce that bunt odor. If you are hearing strange sounds, such as grinding when you change gears, that can be another sign that your transmission is struggling. In automatic vehicles, this struggling is indicated by a whining or buzzing noise, as opposed to grinding. When you change gears, your vehicle should respond smoothly. Hesitation from your vehicle is a sign of transmission, or even clutch problems. Last but not least, always pay attention to your vehicle’s warning lights. Most newer model vehicles can alert you when your transmission is overheating, so if it lights up, pull over and contact a mechanic as soon as you can. If you need transmission repair in Inglewood, CA, call L.A. NTX Transmissions at (310) 672-8131! Posted in Uncategorized on August 24, 2017 by L.A. NTX Transmissions. Look Out For These Signs If Your Car’s Clutch Needs Repairs. 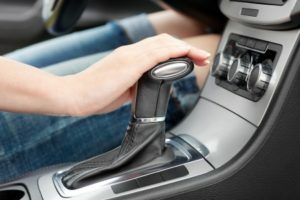 Usually, when we have problems shifting our cars from one gear to the next, we can trace the problem back to the clutch. Clutch repairs are relatively simple and inexpensive to deal with, but when left unrepaired, it can lead to bigger problems down the road. Here are five signs your car’s clutch needs repairs. One of the biggest signs that your car’s clutch needs repairs is when your clutch shakes when you are trying to shift. Another thing you need to look out for is it’s really hard to shift. These can be signs that your clutch is worn out. If you’re accelerating while going up a hill, loses power when you are carrying a lot in your car, or revs for no reason? This is a sign that your clutch is slipping, which is due to the gears not being able to engage or disengage. When your car’s clutch needs repairs, one tell tale sign is that you can smell something burning. Don’t be alarmed, this is just an indication that your clutch is worn out. When the clutch is worn, it creates more friction than it should, in turn developing a burning smell. Shifting gears shouldn’t produce any sounds when using the clutch. However, if you are hearing weird noises coming from your clutch, this is a sign that there is oil in the clutch or gears. Another symptom of oil or other things in the gears or clutch is when your car jerks when your normally switch gears. If you need clutch repair and service in Inglewood, CA, call the professionals at L.A. NTX Transmissions at (310) 672-8131 today. Posted in Uncategorized on July 21, 2017 by L.A. NTX Transmissions. If you ever find yourself stranded, you’ll feel thankful for your emergency car kit. You never know what might happen out on the road. Especially in the summer, a driver should stay prepared with an emergency car kit. As temperatures rise, cars become more likely to overheat. 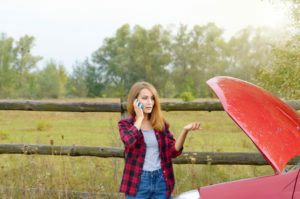 While on a road trip, you could find yourself stuck with car trouble in the middle of nowhere. To stay prepared for any scenario, you’ll want to pack your kit according to three categories. These items help ensure your basic safety while stranded on the road. First and foremost, you’ll want to include drinking water. You should also invest in a high-quality first aid kit, and blankets in case you remain stuck in a cold environment. Sunblock will also help, as will an emergency cell phone charger. Aside from basic safety, you’ll want to provide for sanitation. Pack some toilet paper in your kit, along with hand sanitizer. If you have an infant, you’ll want to pack extra diapers and wipes. A plastic tablecloth can also prove handy, as you can spread it on the ground to prepare a meal. On the subject of meals, you definitely want to include some food in your emergency car kit. Energy bars make an excellent choice, as do bagged nuts. You could also include packs of tuna, Gatorade, trail mix, or beef jerky. While these three categories should get priority, you can also include items to help pass the time. A deck of cards makes a smart inclusion, as does a book or two. To avoid getting stranded due to transmission problems, contact L.A. NTX Transmissions today at (310) 672-8131 for service in Inglewood, CA. Posted in Uncategorized on June 20, 2017 by L.A. NTX Transmissions. Summer is nearly here and many people are planning their yearly vacation. With so many cars hitting the road, keeping your car at its best can mean the difference between a safe trip or a disaster. Like winter time, this season can be especially difficult for all vehicles. How can you avoid finding yourself stranded in need of service? There are a few common issues people experience. By knowing these you can assess your car and prevent problems down the road. 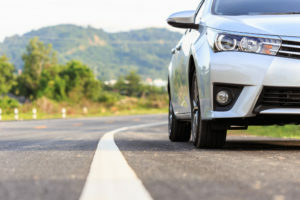 With extreme temperatures and travel on the roads more common during the summer time, it is important to check your tires before you set out on any trip. Sharp objects on the road can puncture your tires and flat tires can leave you stranded. Always check your tire pressure before long journeys and note any large differences. Keep your spare tire ready just in case. Just as winter can cause your battery to die, summer temperatures can lead to corrosion and evaporation of your battery’s fluids, making your battery die. Make sure you turn off all your accessories when leaving your car and always test your battery when you can. Having a spare battery can help too! The first sign of wearing brakes is a high pitched squealing that happens when you come to a stop. Some wait until a grinding or metal on metal noise occurs to have their vehicle serviced. This may be too late. Having brake service completed as soon as possible and before any long trips is important for your safety. Keeping your engine cool during the summer time is very important. Internal combustion generates a large amount of heat. When your coolant and radiator fail to cool this down it can cause steam to burst from your engine as well as damage throughout your vehicle, rendering it inoperative. Make sure your coolant is always at a good level and have your radiator inspected frequently. As we said before, summer temperatures can soar to the extreme. Without a working air conditioner, you can put your family and yourself in a dangerous situation. Hot cars lead to heat stroke and even death. Have your air conditioner serviced to ensure you and your family stay cool and safe this summer. 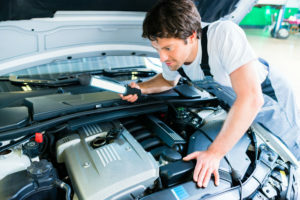 Do you need a tune up for your vehicle in Inglewood, CA? L.A. NTX Transmissions provide you with the best transmission and vehicle service for you! Call (310) 672-8131 today! Posted in Uncategorized on May 19, 2017 by L.A. NTX Transmissions. Air Pressure – The psi level of your tires should be even and match the recommended pressure level set by the manufacturer. You can find the recommended psi level in either your owner’s manual or a sticker found inside the driver side door. This helps to maintain even tread wear, improves your gas mileage, and is a good indicator of whether a tire has an air leak. Tread Wear – The tread on your tires is important to keeping your car on the road, especially in wet driving conditions. If your tires have lost most of the tread, there is less grip on the road making it more difficult to control your car. All tires should have a tread indicator built into the tire itself. Once the tire tread has worn down to the indicator level, you know it’s time to replace the tires. Tire Rotation – Tread wear will happen no matter what. Having your tires rotated will allow the treads on all four tires to wear evenly so that the tires last longer. It is recommended that you rotate the tires about every 6,000 miles. You should check the tread wear and air pressure monthly though, and if you notice any uneven wear then you should have the tires rotated early. Do you need automotive services in Inglewood, CA? L.A. NTX offers many automotive services from transmission repairs to tune-ups and brake servicing. Contact us today at (310) 672-8131 for professional auto care in your area. Posted in Uncategorized on April 18, 2017 by L.A. NTX Transmissions.